This season, Manchester United have ensured that both Luke Shaw and Anthony Martial have put pen to paper on new long-term deals. Now, it looks as though they’ve moved on to securing the future of a third young superstar. According to Sky Sports, the Red Devils have opened talks with Marcus Rashford over a new and improved contract. The 21-year-old has been in simply scintillating form since returning to his favoured striker position under Ole Gunnar Solskjaer, so don’t be surprised to see interest in him building. Apparently, United are keen to get the local lad from Wythenshawe tied down to a new long-term deal with talks already underway. It’s great to see the club trying to learn from their mistakes. This season, David de Gea, Juan Mata, Ander Herrera and the aforementioned duo of Shaw and Martial all had expiring deals. Only two have put pen to paper so far, they don’t want a repeat scenario to happen next summer. 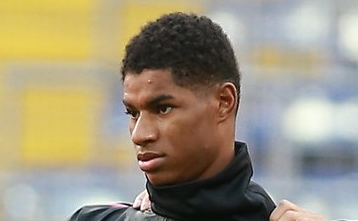 For Rashford, a new deal would be a reward for his hard work. He more than deserves a pay increase and if he keeps playing this well as the main striker, he’ll continue to develop and grow and get his name mentioned in amongst the best forwards on the planet.